So Long Celebration, Hello Festival Of Eugene? You just can’t keep Eugene down. Downtown is growing. Gone is much of the blight, the open pits, the vacant lots, and the remnants of the appallingly bad idea to turn it into a vehicle less mall. Now beautiful new developments like LCC’s amazing new structure occupies what once used to be the main stage area for the Eugene Celebration. It seems downtown growth has managed to displace the long running annual event. Originally created in 1983 by the City of Eugene, it was handed over to external management in 1998. Kesey Enterprises, originally contracted by the now defunct Downtown Events Management, Inc., and now the owners of the Eugene Celebration brand, announced the cancellation of this years events with a promise to return in 2015. This was such a disappointment to Krysta Albert, local wedding event planner (Imagine! Events) and entrepreneur, that she decided to propose an alternative: Festival Of Eugene. Within a day of revealing her idea, “Festival Of Eugene” began to gain not only tremendous momentum, but an array of skilled local professionals intent on helping bring it to reality. 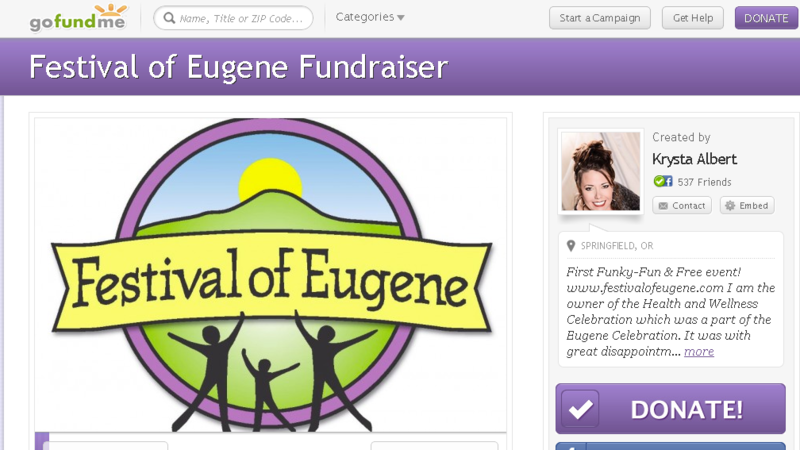 “There’s a new fun, funky and free festival in town and it’s called the Festival of Eugene! This kid and family-friendly event is all about celebrating the cultural diversity and the varied talents of Eugene. There will be live music on theatrical performances, dance performances, juggling, balloon dresses and more. This event is being produced by Imagine! Events in coalition with Baker Entertainment owned by Jaime Baker. One of the growing complaints about the Eugene Celebration was the high cost of gaining access to the event. Albert believes that being more inclusive will be a key to Festival Eugene’s success. 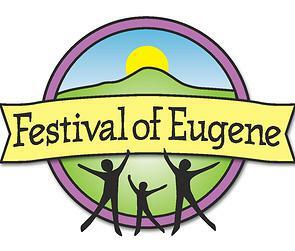 If all goes according to plan, Festival of Eugene will take place August 22, 23 and 24th. Event coordinators are looking at one block of Pearl Street along 5th. Avenue to Willamette and one block north of 5th Avenue on Willamette and one block south of 5th Avenue on Willamette for the events location. Yesterday Kesey Enterprises announced that there will still be a Eugene Celebration Parade, and a concert at the Cuthbert Amphitheater on August 23. The concert is scheduled to feature Hell’s Bells, Zepparella and Foreverland. Organizers will also award the winners of the parade at the concert. Tickets will be $5. According to Kesey Enterprises, the event was made possible through generous support from Lane Community College, the city of Eugene and a volunteer committee. This combined with Festival of Eugene should make for quite a weekend.